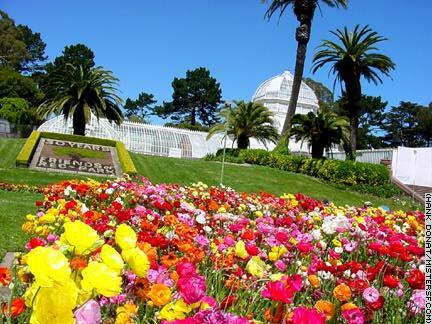 Conservatory of Flowers Golden Gate Park is San Francisco's backyard. It's difficult to imagine that in the late 1860s there was nothing here except acres and acres of dunes - land deemed uninhabitable by the City. The vision of John McLaren, creator and "Father of Golden Gate Park," did not include the many statues and structures that fill the park today, along with thousands of species of plants and animals. McLaren opposed clutter and fiercely protected the natural beauty of the park, which runs from Stanyan Street to the Great Highway between Fulton and Lincoln. Since a person could spend many years in Golden Gate Park with no end of wondrous things to see and do, Mister SF offers 49 examples of what makes makes San Francisco home to one of the world's finest urban parks.